At Rådhusesplanaden 13 in central Umeå, we at Sisters in Law have our office, studio and showroom. 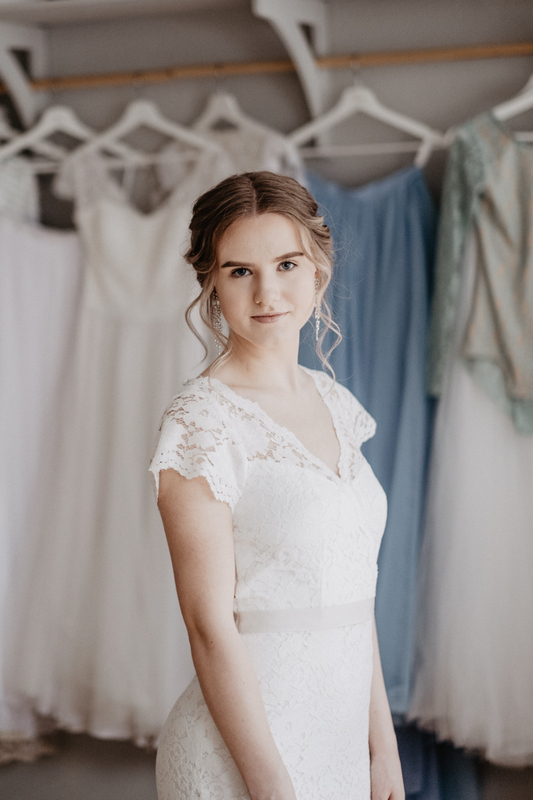 On Fridays you can drop by between 11-16 where you as a future bride can try the tulle skirts from our own collection Ellen Marie Bridal by Sisters in Law, get help with designing your dream dress from scratch or make changes on existing bridal dress. 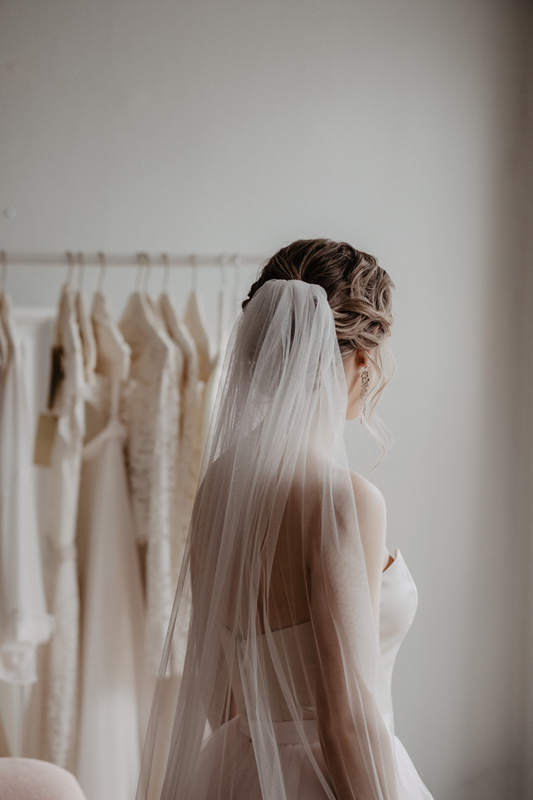 Right now, three brides to be have the chance of ordering our tulle skirt with 20% discount, if you use the code TULLEDREAM in our web shop. The code is only available for the first 3 orders, so don’t wait too long. Don’t hesitate to contact us if you have any questions about our skirts. 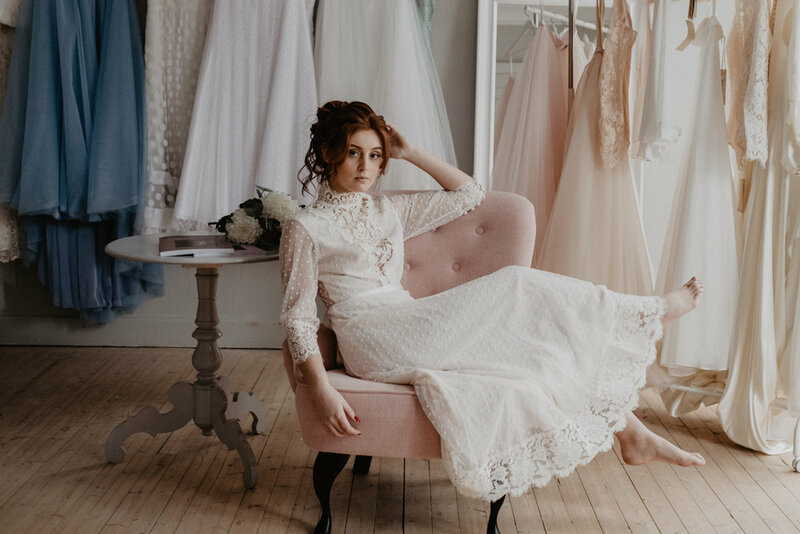 Here you get a small sneak peek on our collections in store, which right now includes bridal dresses from Zetterberg Couture that we have with us as a temporary pop up. The dresses are here until March 29, so be sure to drop by during this week if you are eager to try their creations! If you cannot come during our drop in on Friday, you can book a time for you and your friends by emailing kristina@sistersinlaw.se. 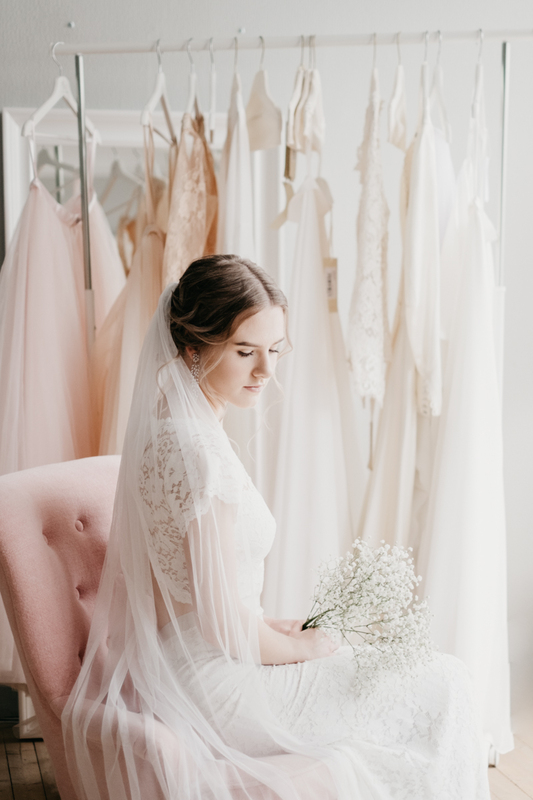 The pictures below are photographed by the talented wedding photographer Matilda Audas Björkholm, who is based here in Umeå. 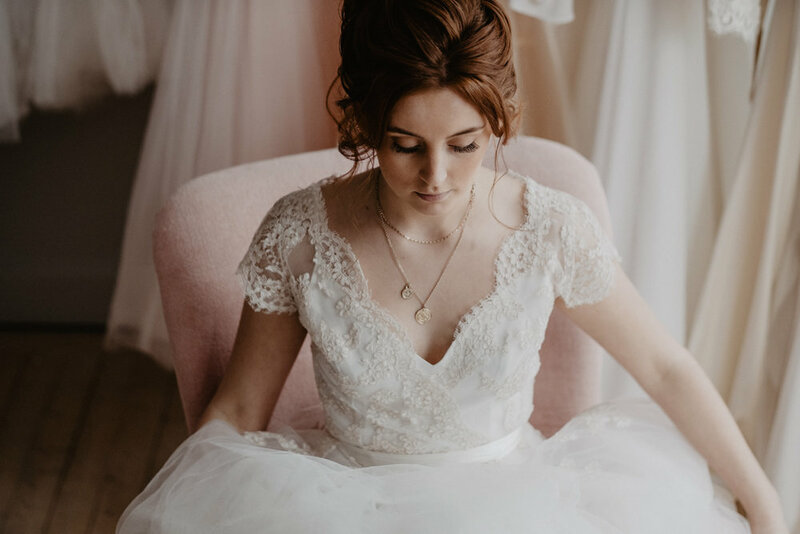 Check her out if you are looking for a wedding photographer here in the north! 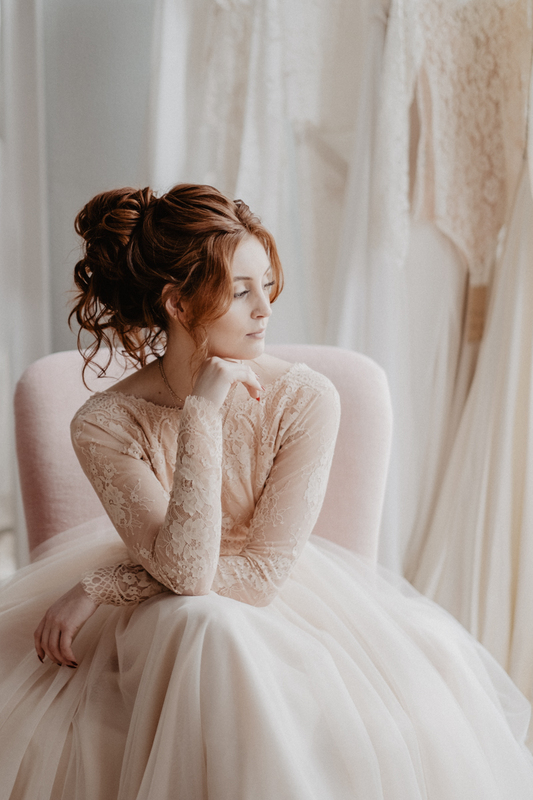 The models are styled by the hairdresser and makeup artist Jessica Palmquist via Hårizont in Umeå, so besides being inspired by beautiful bridal dresses, we also get bridal hair inspiration in these pictures. 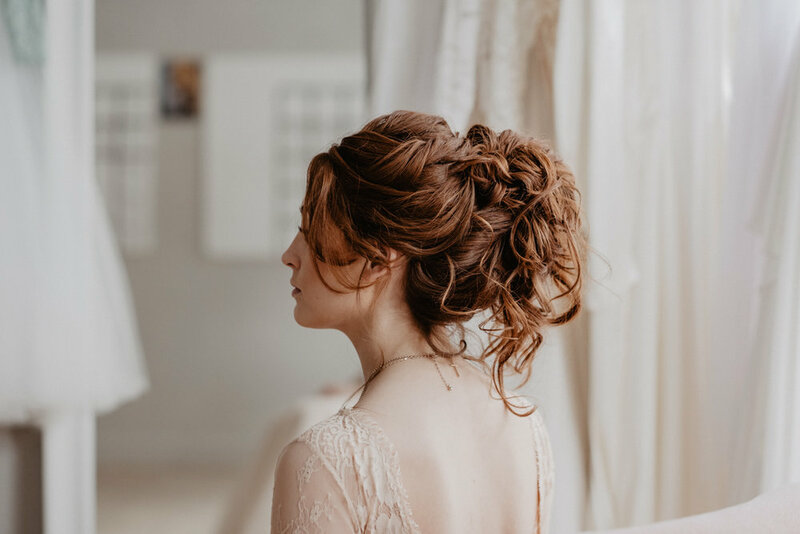 What hairstyle and bridal outfit would you choose for your wedding? Är du intresserad av att köpa en av våra färgglada tyllkjolar? Beställ via vår hemsida Ellen Marie Bridal by Sisters in Law, där vi just nu har ca 5-7 veckors leveranstid.